KENT ELLIOT PODIATRIST – SERVICING CAPALABA, ALEXANDRA HILLS, BIRKDALE, REDLANDS AND SURROUNDING AREAS. We have now moved in to our new premises which is located 4.1 km and 7 min drive from the Birkdale clinic. Kent has been working as a Podiatirst at Active Care Podiatry and servicing the Capalaba, Alexandra Hills, Birkdale and Redlands areas since 2003. Kent graduated from the University of Queensland with a Bachelor of Science (majoring in Human Movement Studies) and from Podiatry at QUT. During this time Kent took special interest in exercise and conditioning training. 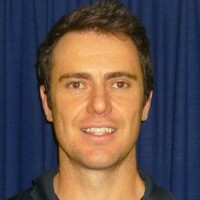 Kent has a personal interest in, and has participated in many sports including rugby, athletics, tennis and running.